Studio with a view! 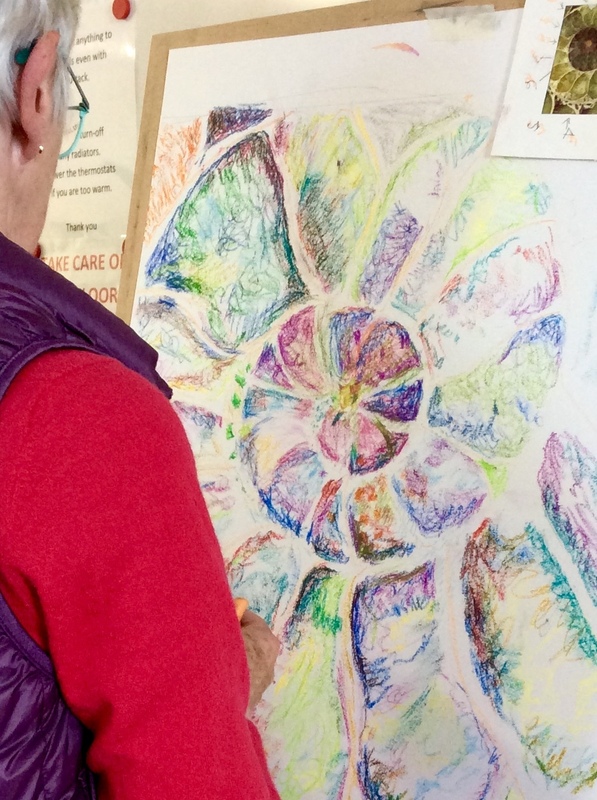 Come and enjoy a wonderfully creative art day with all materials and lunch included. Group sizes are small to ensure a high quality of provision and tuition and workshops are carefully structured to enable anyone at any level to develop their skills. I hope you can come and join me! To book - click on the 'book now' button - this will direct you to my email. Send me a message and I will reply with payment details and a booking form. 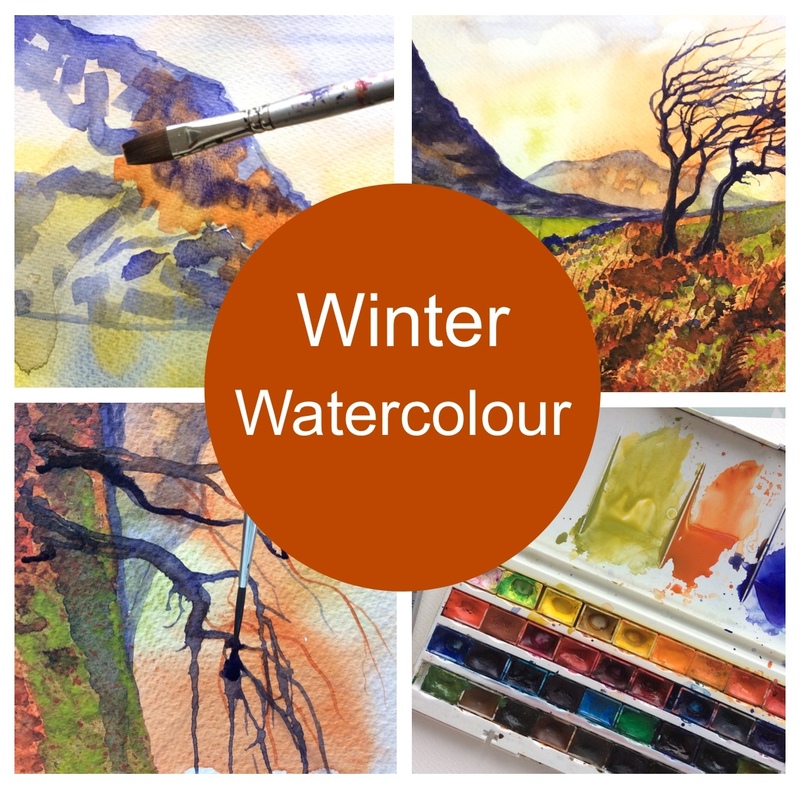 Recreate this colourful winter scene using a range of expressive watercolour techniques. 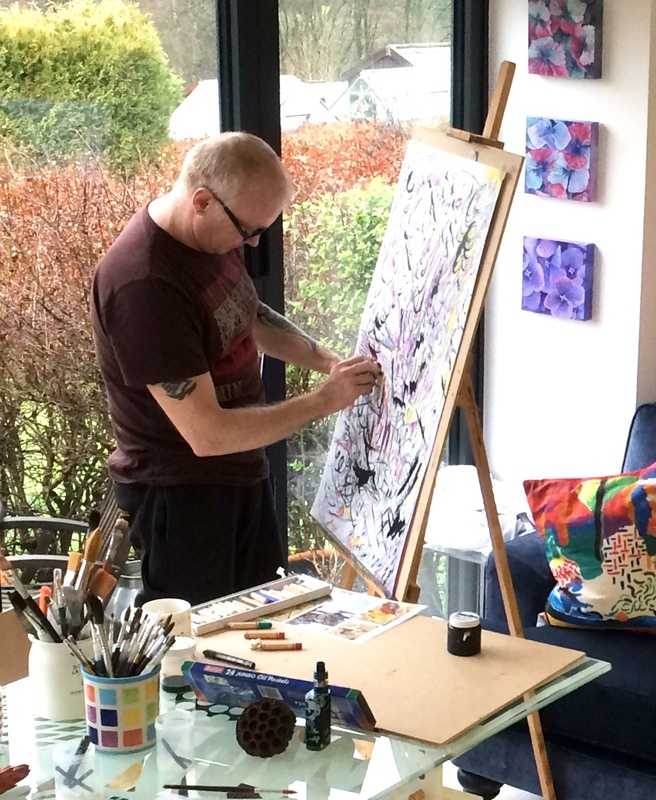 Relax and enjoy a creative day in Pam’s light and spacious studio. All materials, refreshments and lunch included. 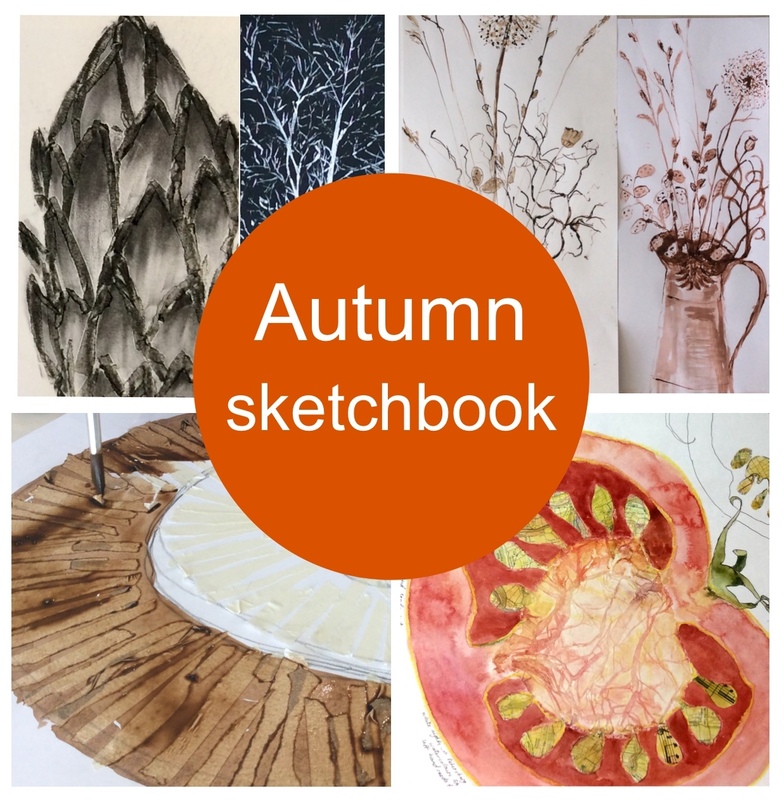 Make your own sketchbook and fill it with drawings! 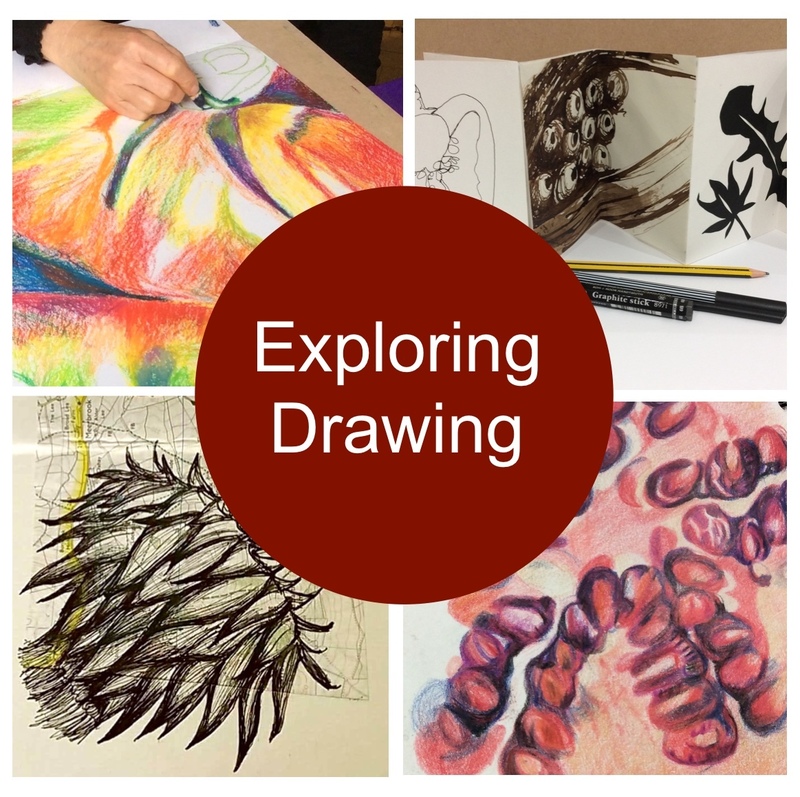 Expand your creative toolbox with an exciting range of drawing techniques using different materials. Relax and enjoy a creative day. All materials, refreshments and lunch included. 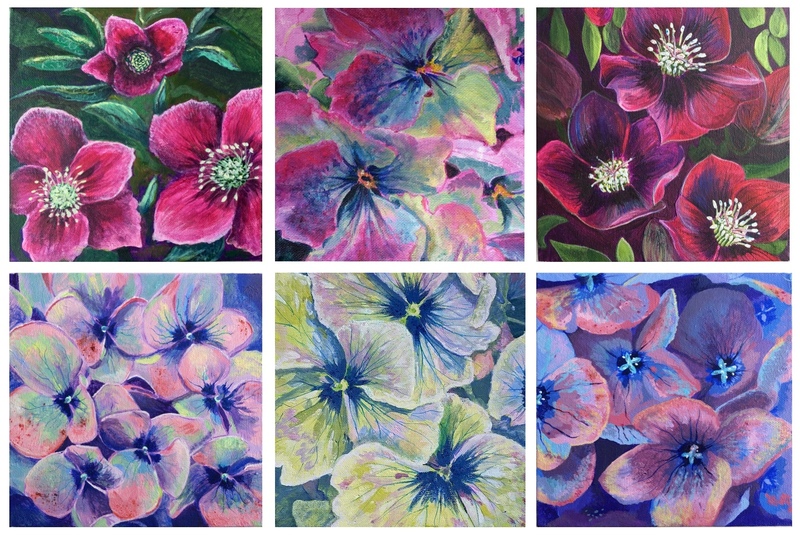 A celebration of spring colour. 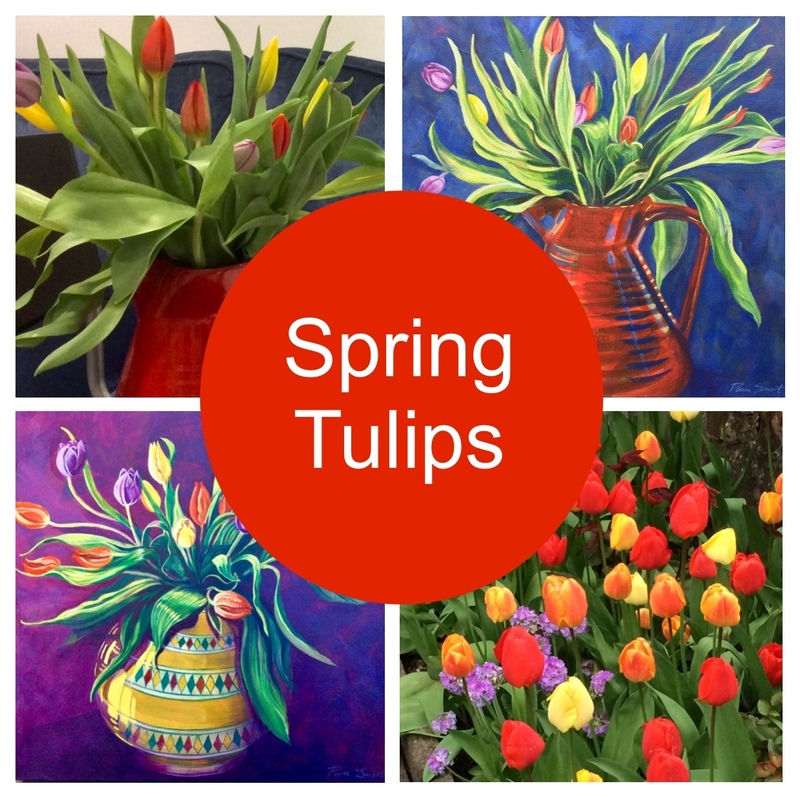 Using acrylics you will take a painting from start to finish, working from a Still Life of beautiful tulips. All materials and lunch included. 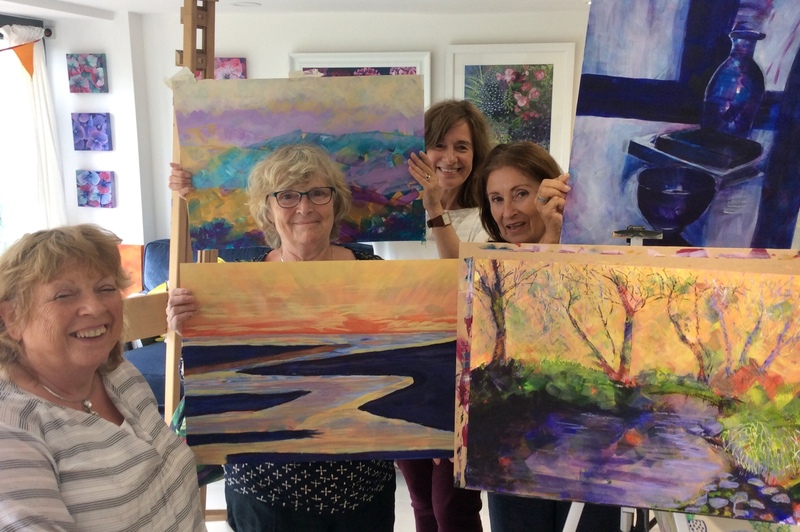 Held in Pam’s light and spacious studio with stunning views! 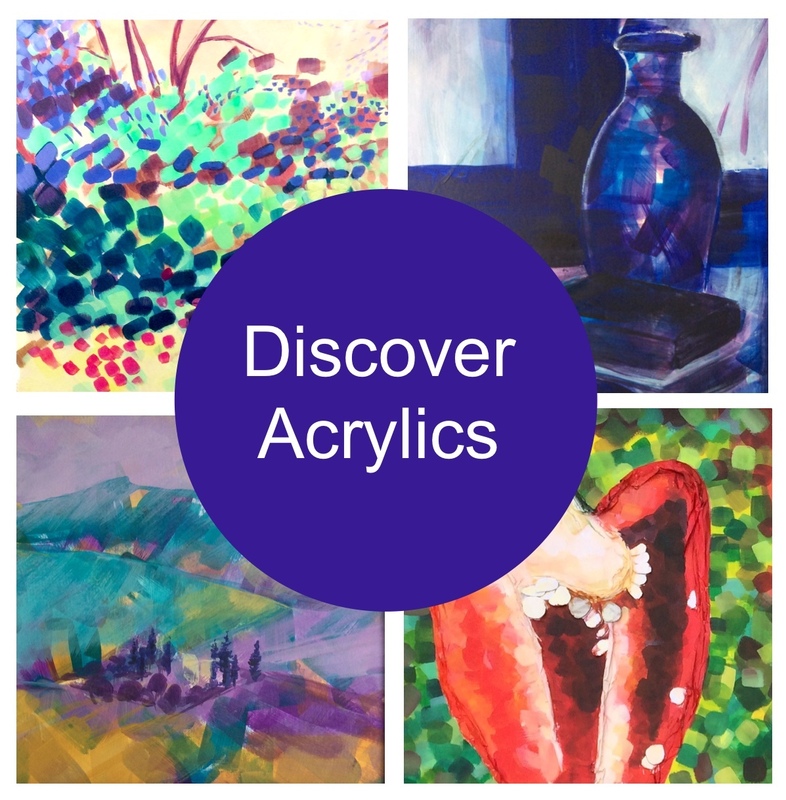 ​Build your confidence with this introduction to acrylics. 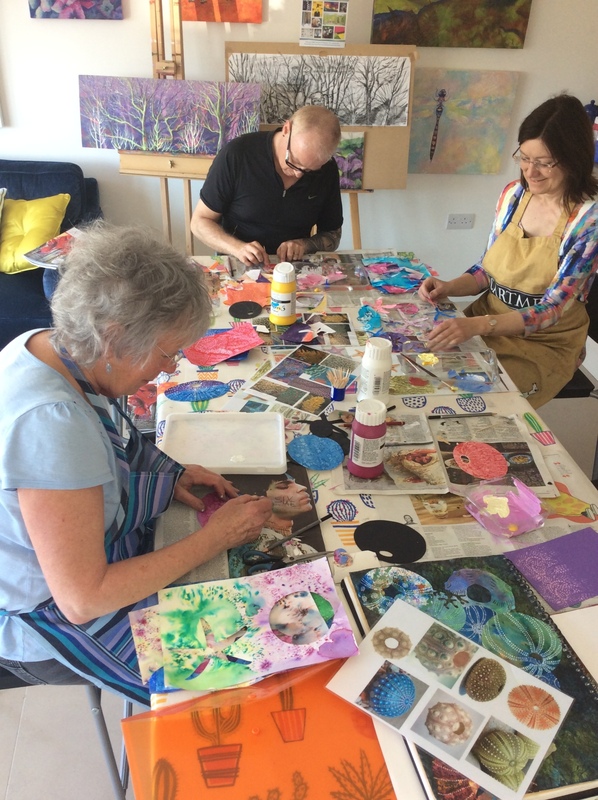 You will be guided through a range of activities, exploring colour mixing, working with different brushes, layering and painting without brushes. A fun and enjoyable day in a relaxed setting. All materials, refreshments and lunch included. 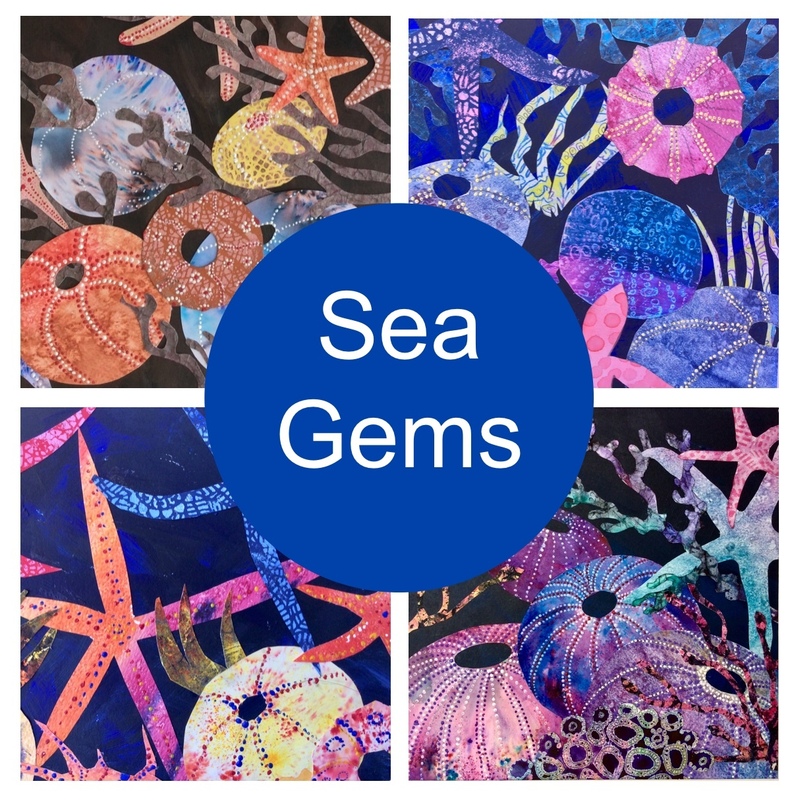 Take inspiration from the sea’s natural treasures in this mixed media workshop. 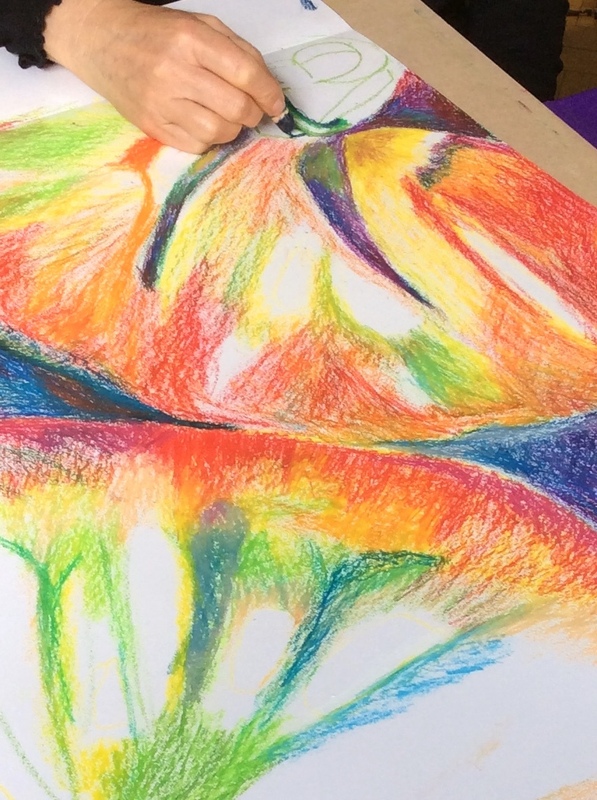 Create a personal response and experiment with a wide range of materials and techniques - develop your understanding of pattern, texture, colour and composition in a relaxed environment. All materials, refreshments and lunch included. 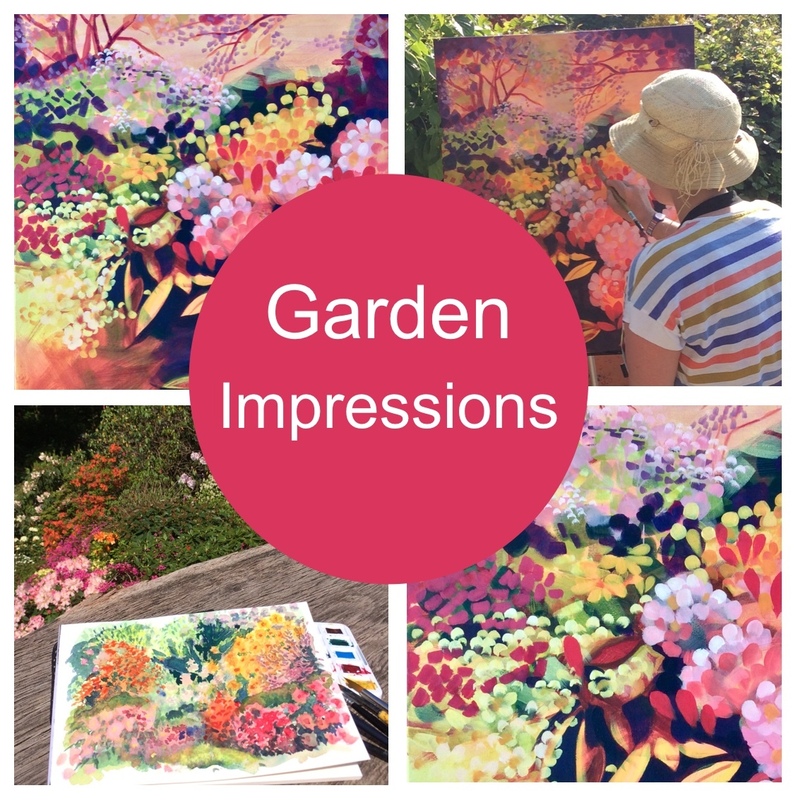 Develop your mark making with a loose approach to painting gardens in acrylics. 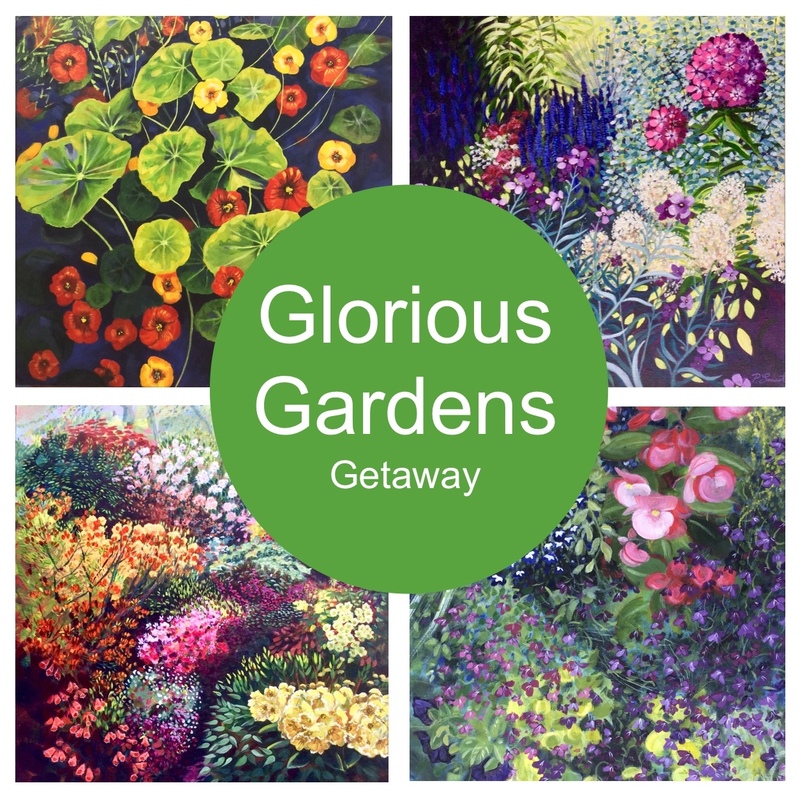 Recreate this beautiful garden scene with expressive brush strokes and vibrant colours. An enjoyable and relaxing day - you can even work ‘en plein Air’ if the weather is good. Or just simply enjoy the stunning views. All materials and lunch included. 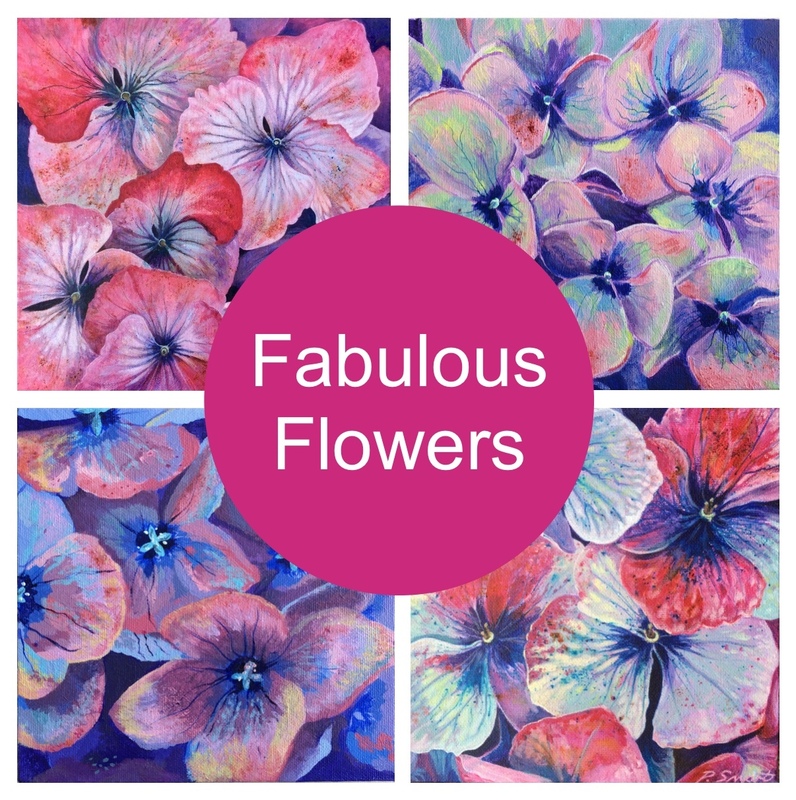 Paint fabulous Hydrangeas with acrylics on canvas. Build your confidence and understanding of colour, tone and composition. 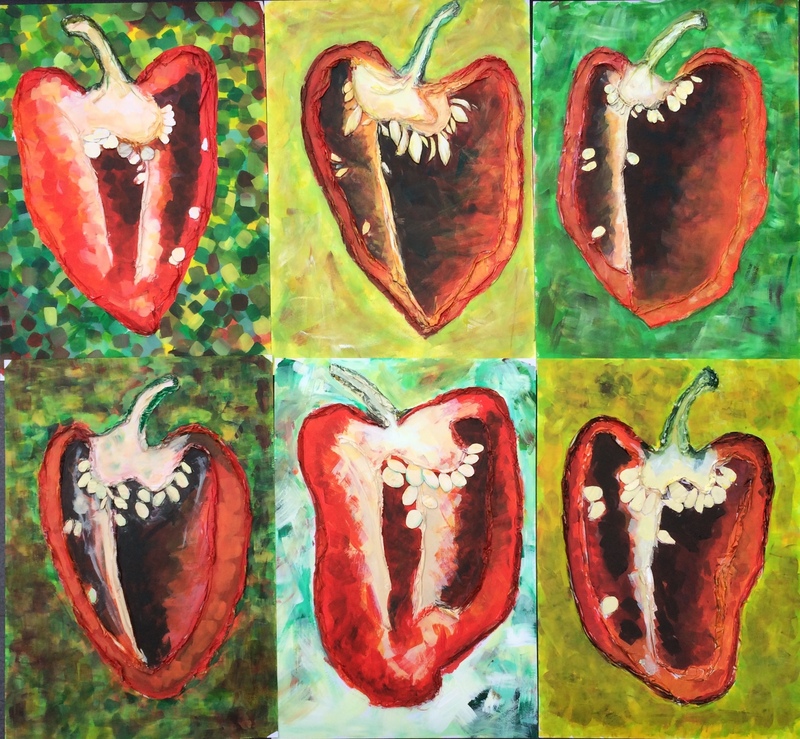 Learn about layering and paint application and take a piece of work from start to finish. Relax and enjoy the beautiful view from Pam’s light and spacious studio. All materials, refreshments and lunch included. Experiment with expressive drawing and painting techniques on a large scale. 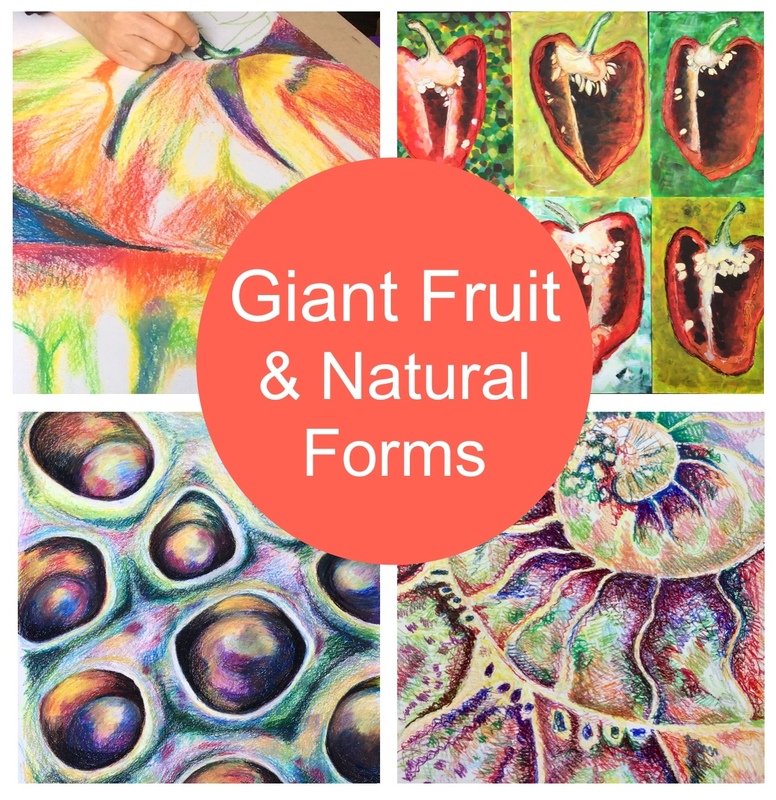 Take inspiration from fruits, shells, seed pods and other natural objects. Held in the Art room at Barlow with wonderful countryside views. For more information and booking click on the field breaks button below. Have fun making your own sketchbook! 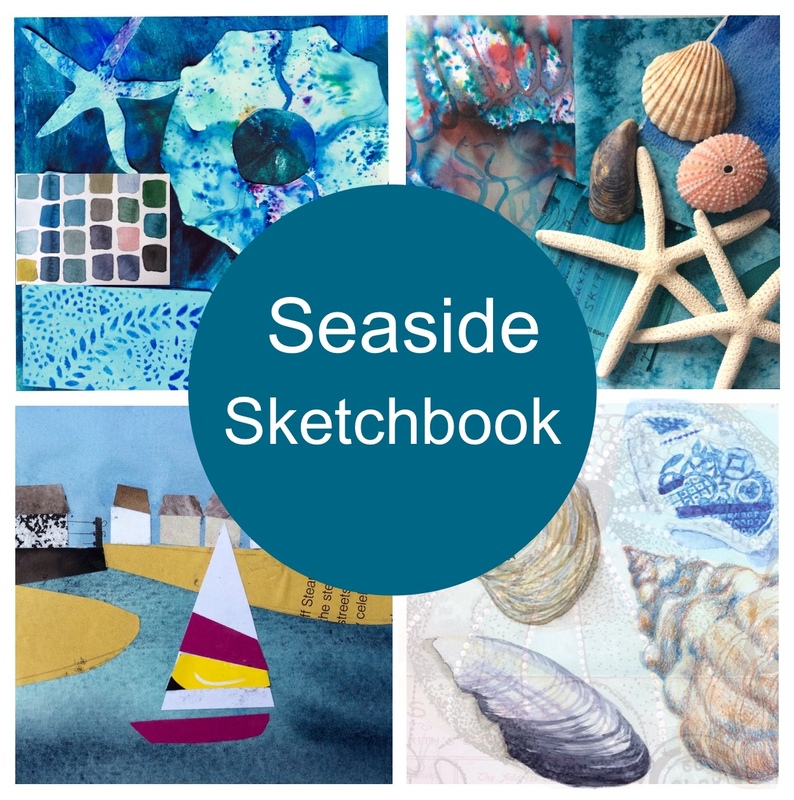 Learn creative sketchbooking techniques and experiment with a wide range of materials. Take inspiration from shells, starfish, jellyfish and all things sea related. A creative and relaxing day. All materials and lunch are included. 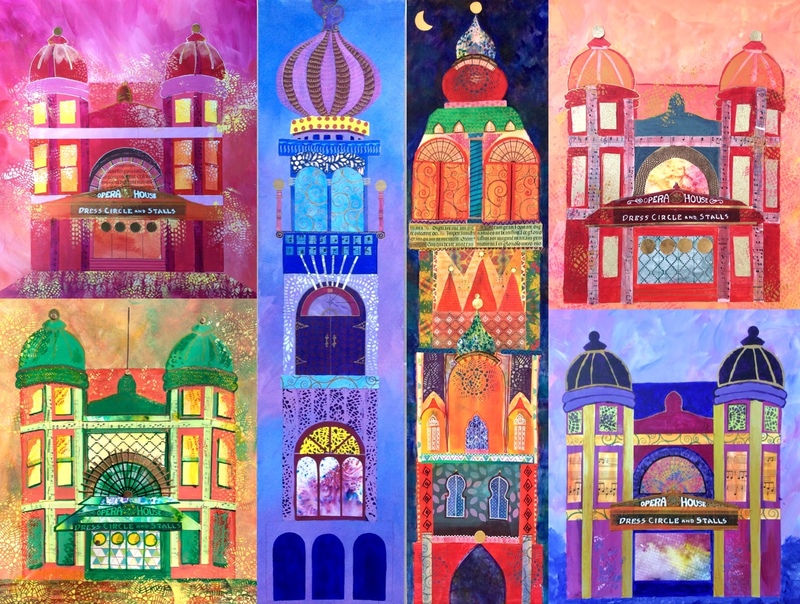 A wonderful opportunity to develop your painting skills and work on a large scale canvas. Time to really get to grips with painting beautiful garden details on this two day course. Chance to relax, unwind and even work ‘en plein air’ if it’s a sunny day! All materials, refreshments and lunch included. 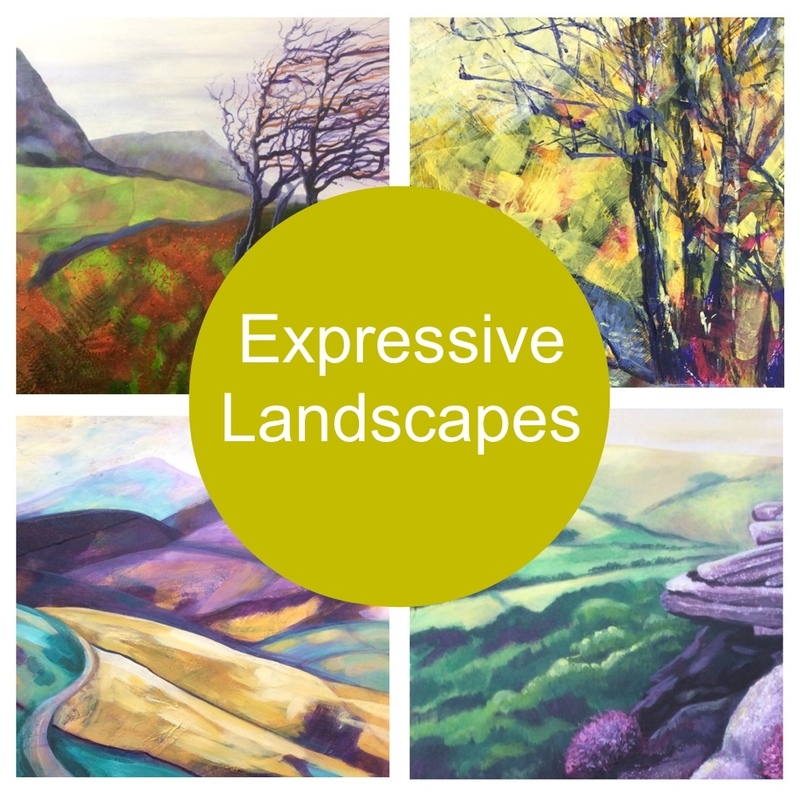 An expressive approach to landscape painting. 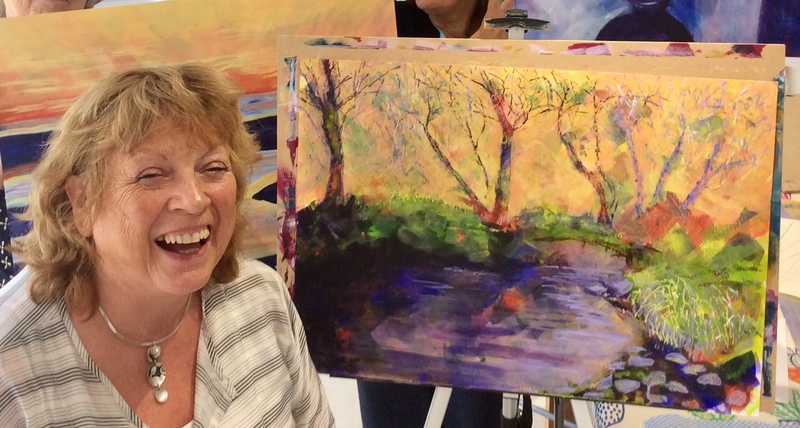 Develop your knowledge of acrylics and explore colour, composition and scale. Working on a larger scale you will take a painting from start to finish. An energetic and lively day. All materials and lunch are included. 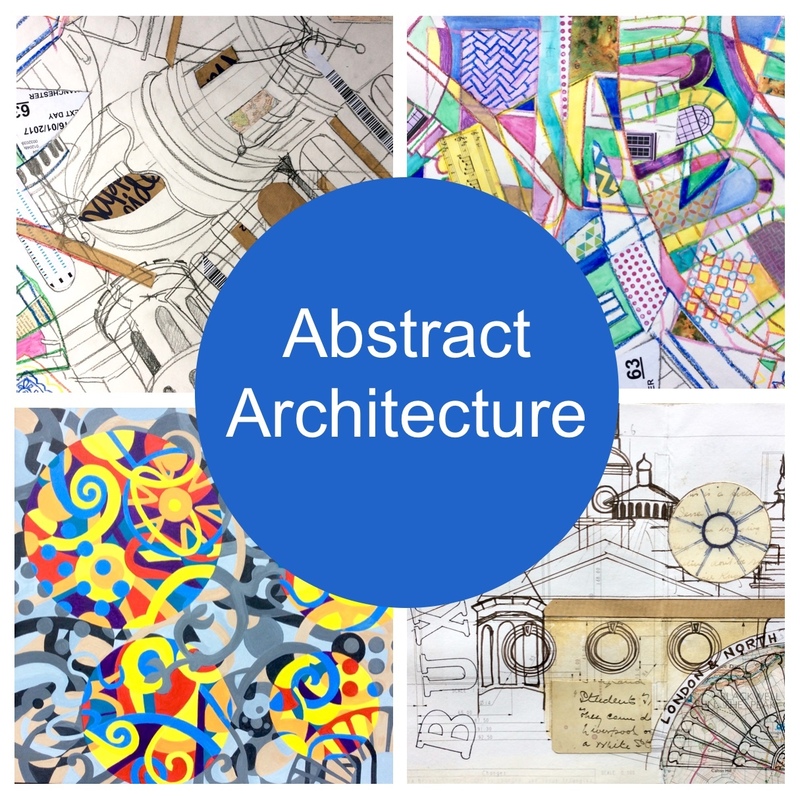 Take inspiration from architecture to develop large scale abstract work in mixed media. 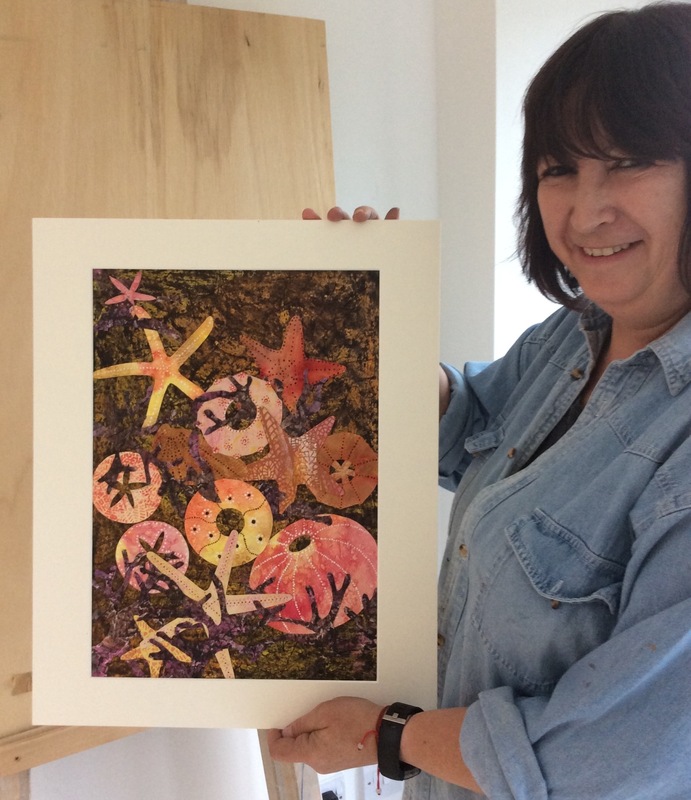 Develop your drawing skills and experiment with collage and paint to create an original piece of art. A fun day in Pam’s light and spacious studio. All materials, refreshments and lunch included. A unique experience for friends and family. 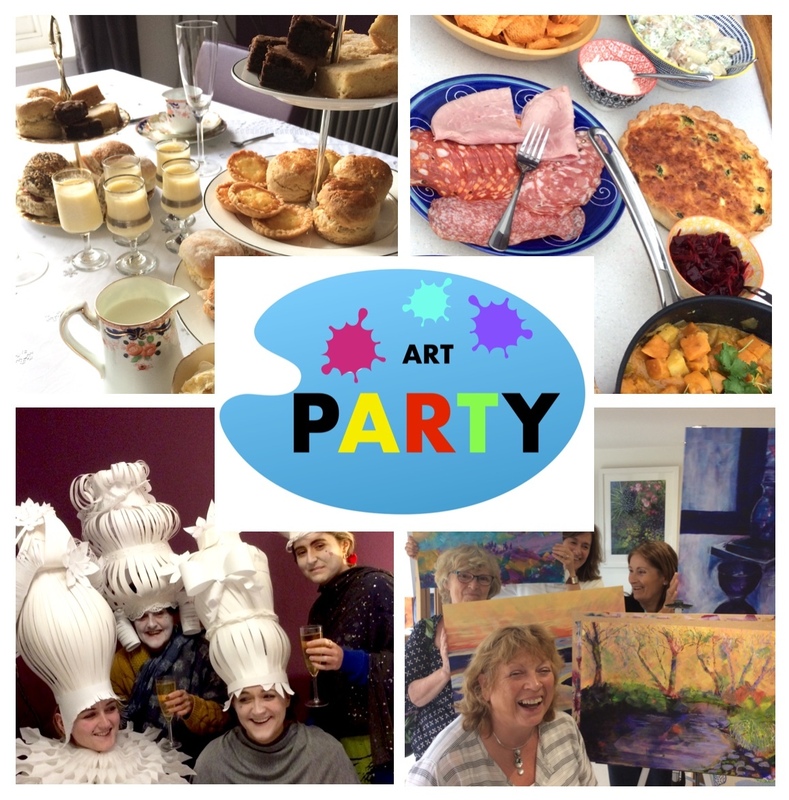 A bespoke workshop or Art Party can be tailored to your individual requirements. 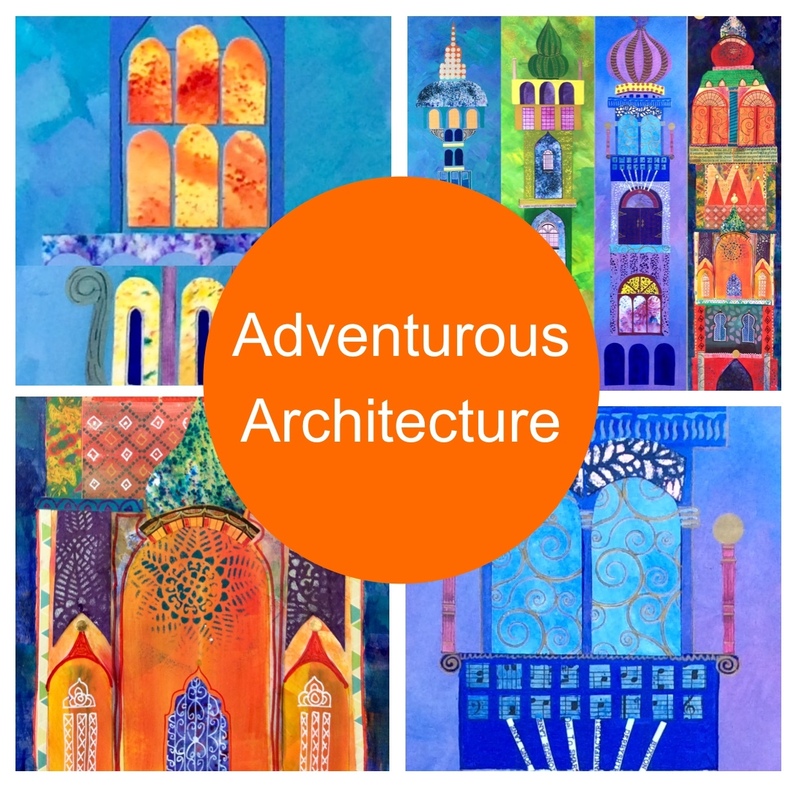 Choose from painting, drawing, paper sculpture and craft. A great day out for birthday groups or ‘hens’ looking for something different. 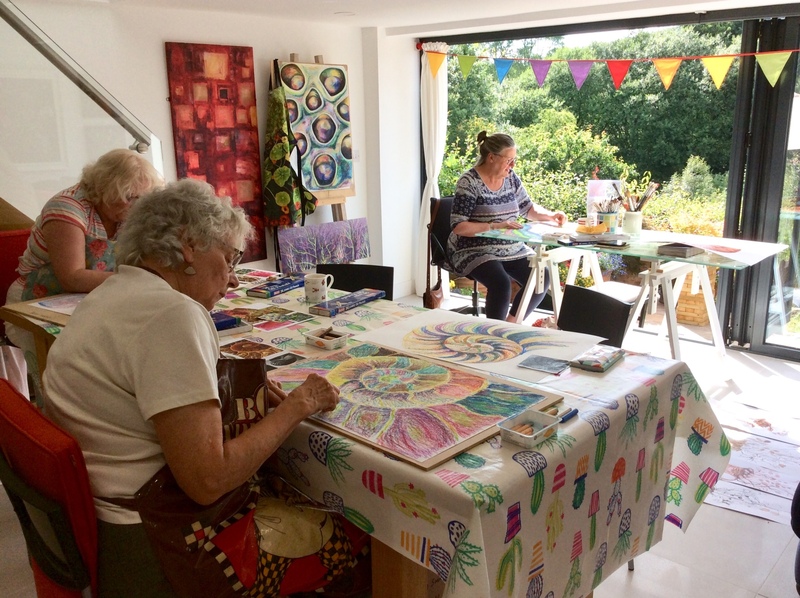 Up to eight can be accommodated in Pam’s beautiful studio or upto twenty in a venue of your choice. From £65 pp for a full day including all materials and lunch. ​"I'm usually really nervous drawing or painting in front of others but I felt at ease and comfortable & as a result I produced a piece of work that I'm really proud of"
"Brilliant - a really fun and informative day"
​Gift vouchers can be purchased and are presented in a beautiful card and can be used for any of the workshops above.